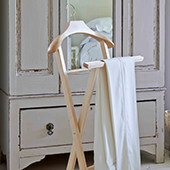 Add some stylish storage options to your home with our brilliant range of stands. Make a stand-out entrance in your home with an umbrella stand or get suited and booted with ease with our super practical and contemporary valet stands. All of our stands come in a selection of beautiful designs to match any home design. 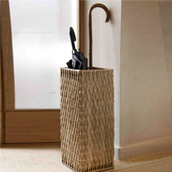 Choose a cast iron umbrella stand for a modern and neat looking home or opt for a wooden stand for a cosier feel. Valet stands are perfect for every busy professional who needs their uniform neat and tidy each morning.